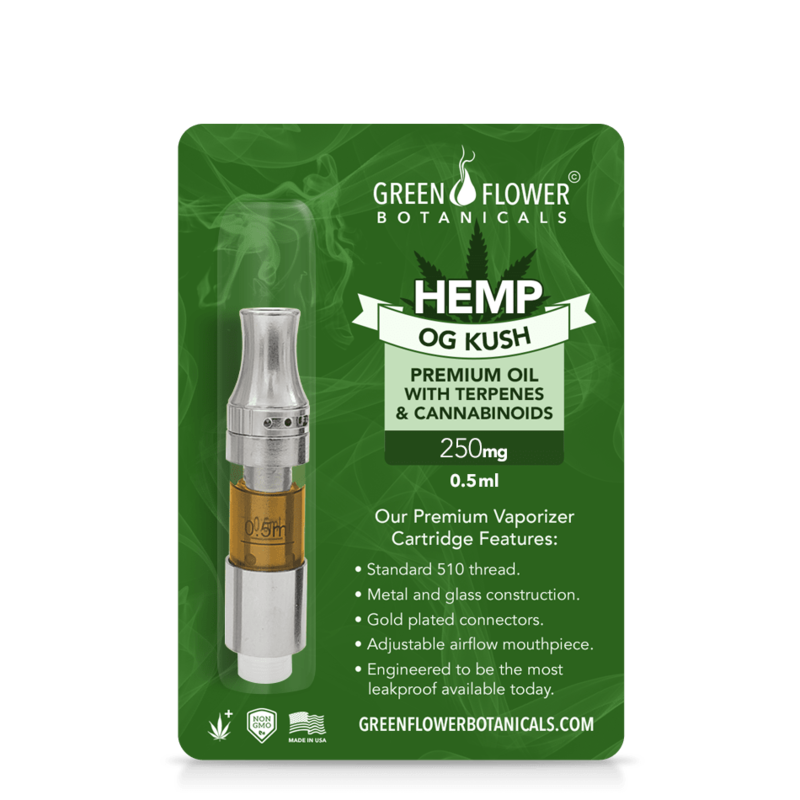 This OG KUSH Strain 250mg CBD Vape Oil is extracted from hemp plants specifically cultivated for high CBD content. Using a Super Critical C02 Extraction process, the CBD and other beneficial cannabinoids, terpenes, and omega fatty acids, are made into a premium-grade, high-concentration, phyto-cannabinoid hemp oil specially formulated for vaping. Following extraction, we infuse the oil with additional natural plant terpenes to recreate the specific terpene profile of the medical cannabis strain OG KUSH. Uses a Medium Chain Triglyceride coconut oil base for maximum cellular bio-availability and metabolic energy. The OG KUSH Strain is a staff favorite with our Green Flower Creative Team. We have an amazing group of creative people working here at GFB. Interestingly enough, wherever you find lots of creativity, you invariably find lots of wonderfully wired ADD types. Creativity and attention deficit just seem to go hand in hand. Whereas Granddaddy Purple is known for it’s anxiolytic and sedative effects, OG Kush brings the anxiolytic effect but with an added focused energy quality. It would be unfair to limit this strain just to its anxiolytic and focus properties. The synergistic effects of this terpene profile in combination with whole-plant CBD are numerous. 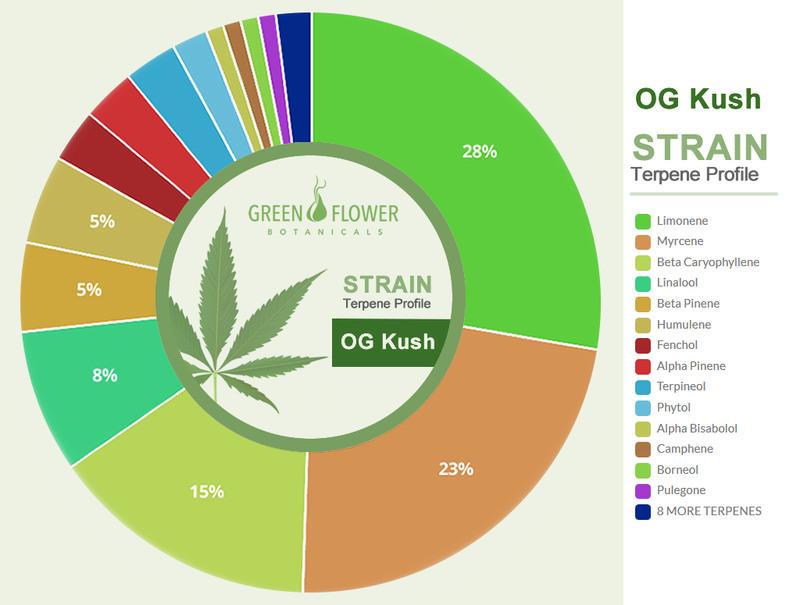 To learn more about this special strain take some time and examine the terpenes below. Keep in mind that even though it’s the CBD doing the heavy lifting, the terpenes assist the CBD synergistically to bend the effects in a particular direction. This particular profile has been researched for its anxiolytic and anti-depressant properties, anti-inflammatory and analgesic properties, anti-cancer, antioxidant, gastric protective properties and more…. 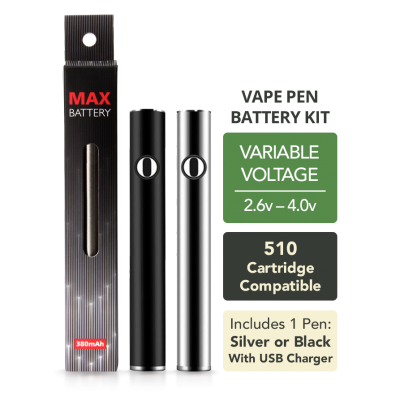 –> Your cartridge will have a small air space at the top and may not appear to be full. This is normal due to the oil being pulled into the wick after filling. We ensure each cartridge is filled to its capacity during manufacturing, and you are getting the full amount advertised. Pure CBD crystallizes at cold temperatures. Our vapes should not crystallize at normal room temperatures. However, if they get cold, crystallization may occur. In colder climates, it’s possible for your cartridge to arrive with some crystallization evident. If your vape oil looks “frosty”, the solution is easy. Gently warm the cartridge with a hair dryer for a minute or two until the crystallization disappears. Be careful not to overheat the cartridge and don’t burn your fingers on the hot glass! Click Here To Download This Product’s Instructions and Safety Warnings. Everyone responds differently to CBD, there is no set dose for everyone or every condition. 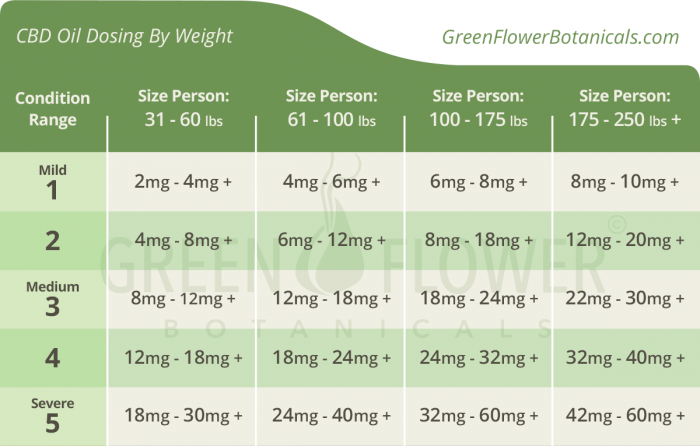 The process used to establish the minimum effective dose of CBD is very simple. Drowsiness- Higher dosages of CBD may cause drowsiness. If you are affected this way, you should not operate machinery or drive a vehicle. Conversely, due to its bi-phasic nature, micro-doses of CBD act as a wake-inducing agent. Pregnancy and breastfeeding: There is not enough reliable information about the safety of taking CBD if you are pregnant or breastfeeding. Stay on the safe side and avoid use. I have tried a few different places and I must say Green Flower Botanicals has to be the best I have tried. Great folks who are honestly trying hard to provide the best products. I sleep like a baby on this. A couple of hits and I’m good for a solid 8. Haven’t slept this great in years. Only negative is the cartridge is pricy for the amount of CBD actually in it. This oils helps me relax and go to sleep. My previous purchase included OG Kush and I loved it so much that I purchased some more. OG Kush is what I use at night to sleep and overall my sleep patterns have improved. I wake up rested.